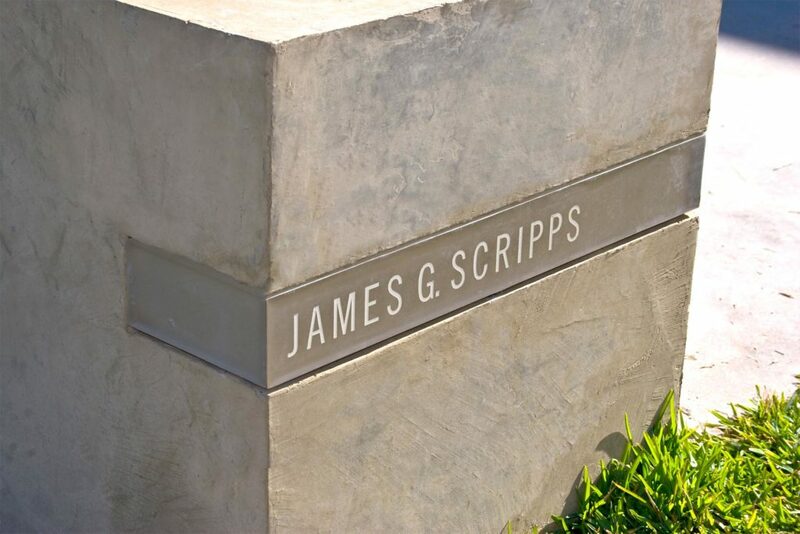 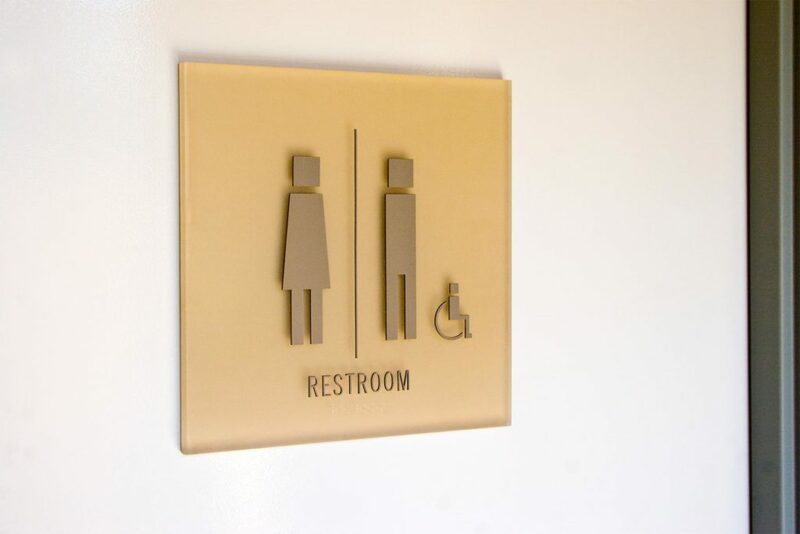 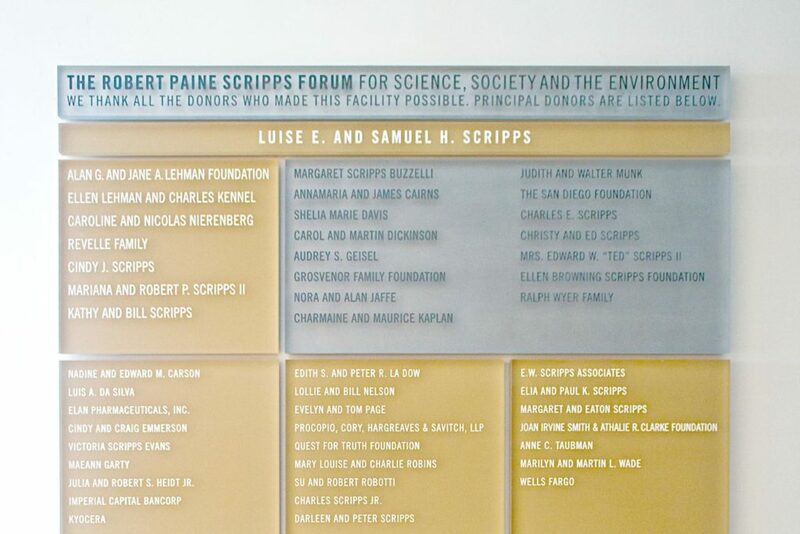 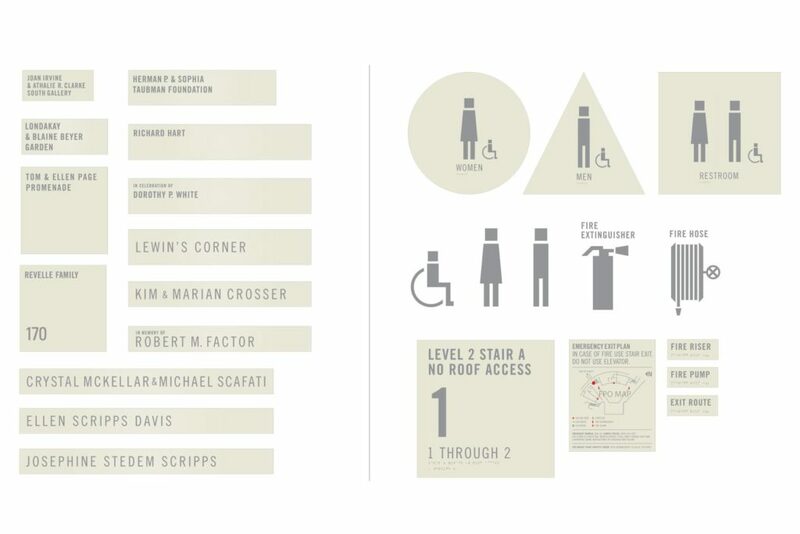 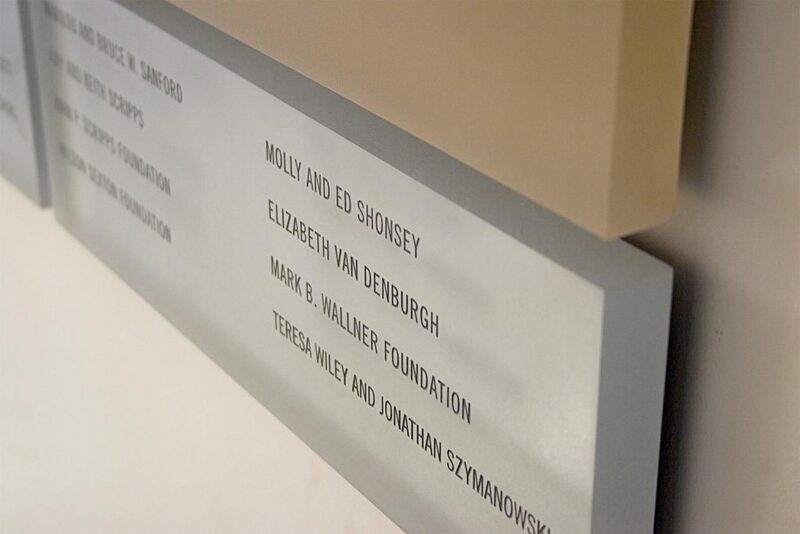 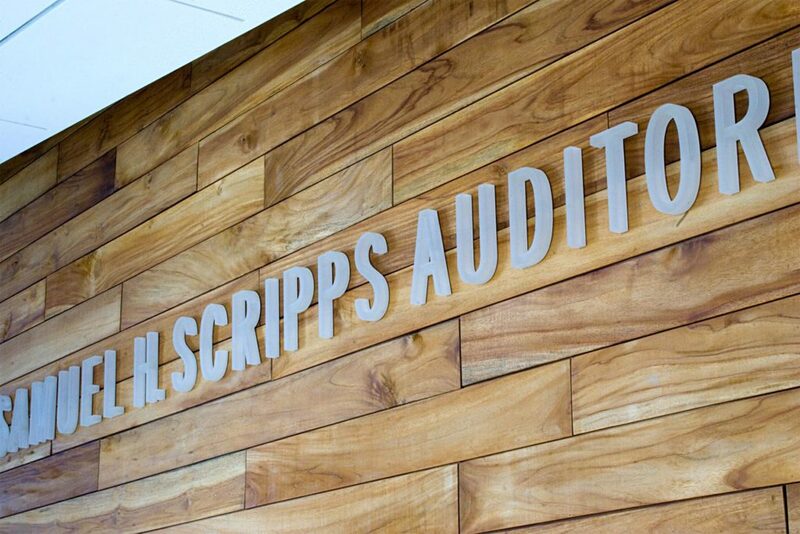 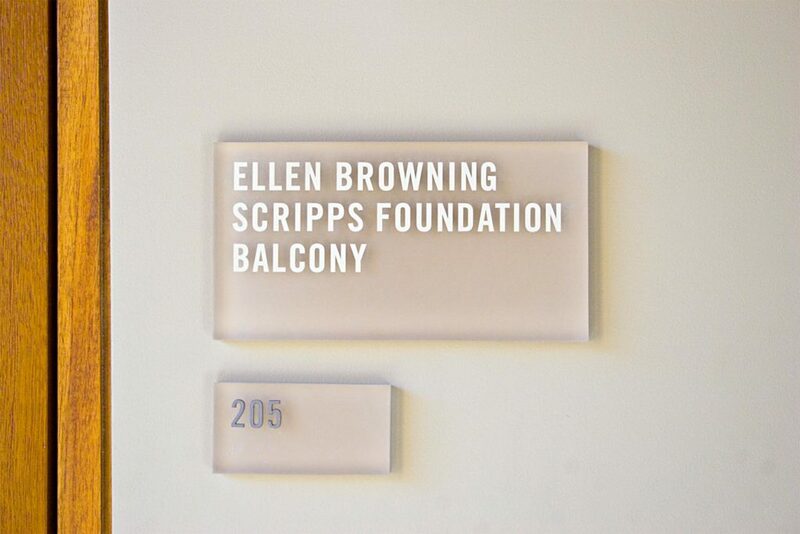 Architect Safdie Rabines required an extensive and thoughtful sign system for the UCSD Robert Paine Scripps Forum, including a building marquee, donor programming, wayfinding, ADA and regulatory signs. 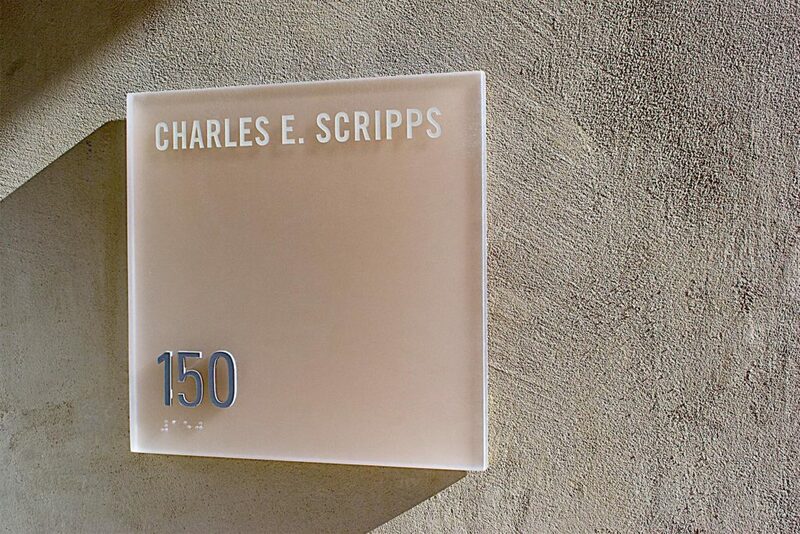 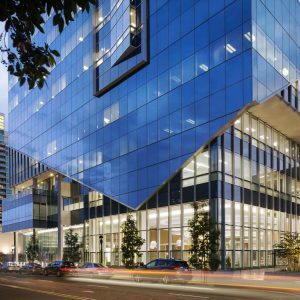 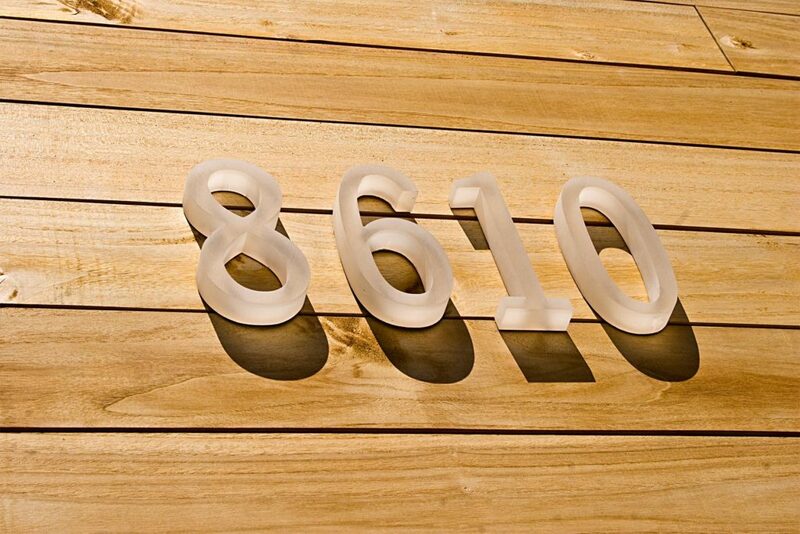 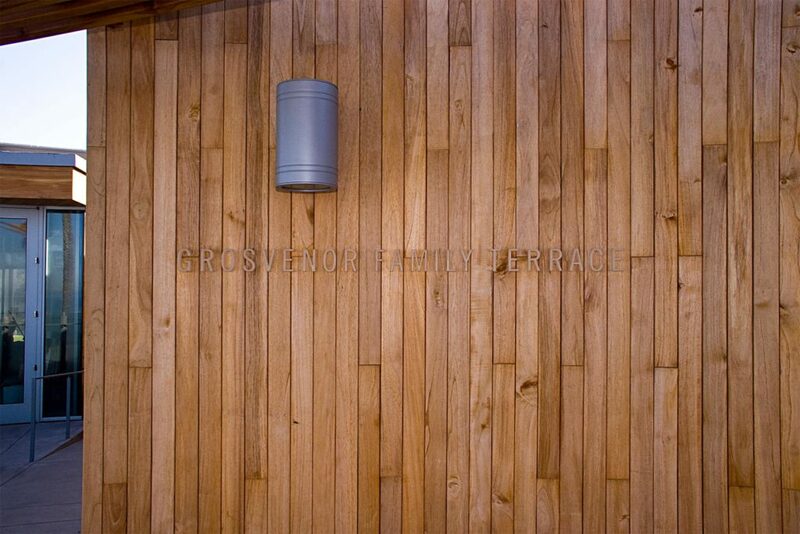 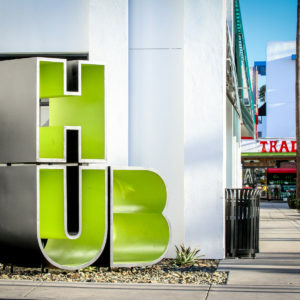 The project’s clean sight lines and sweeping architectural forms inspired an integrated sign program that would “disappear” into the built environment. 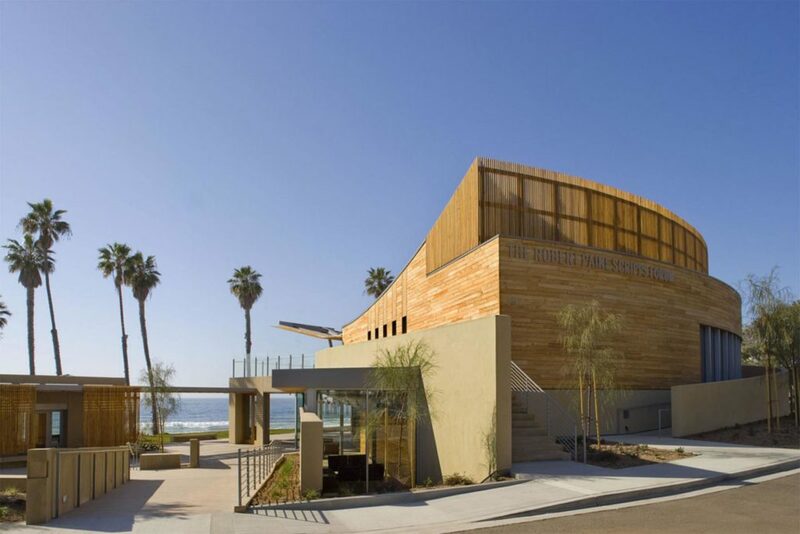 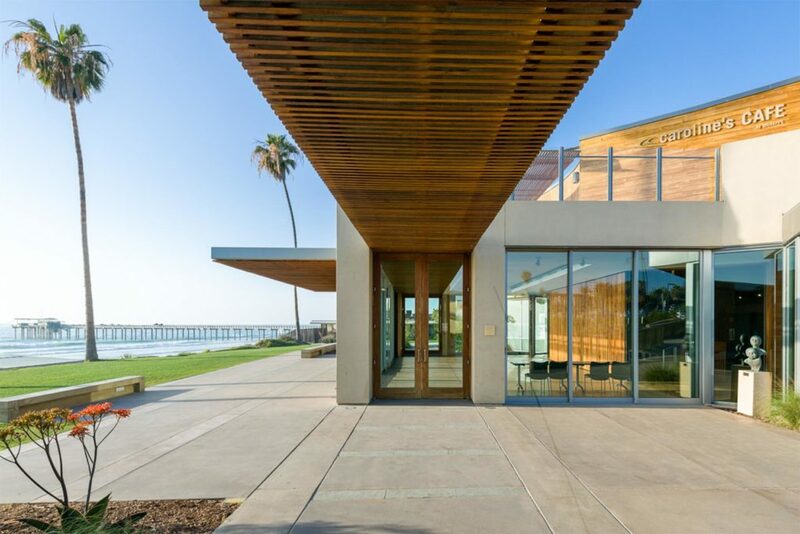 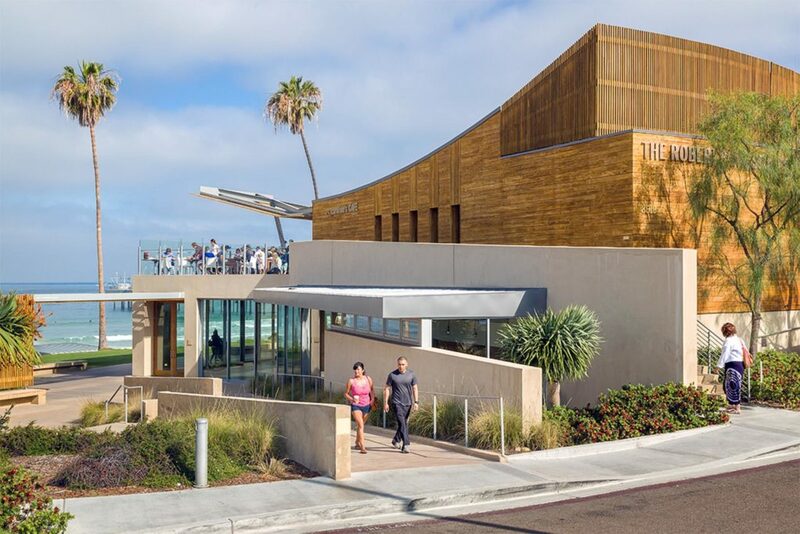 Non-corrosive and natural materials well suited to the La Jolla Shores oceanfront site included translucent, light-reactive forms that absorb light, shadow and color from adjacent materials. 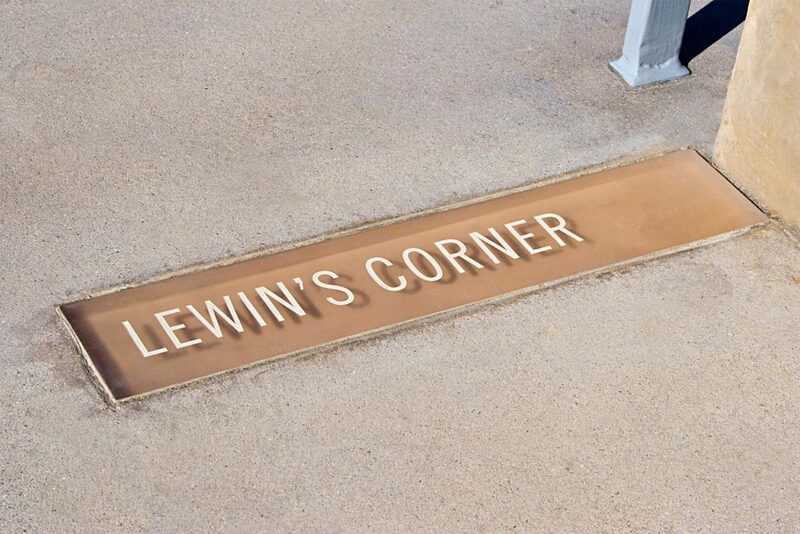 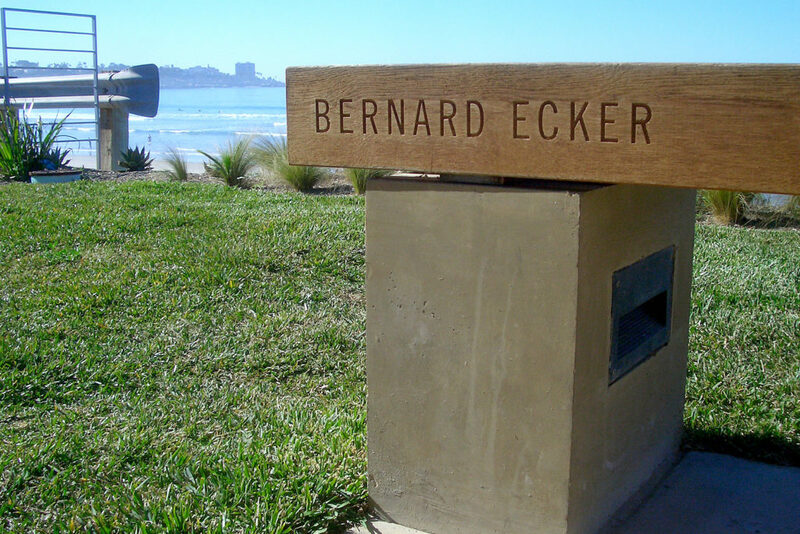 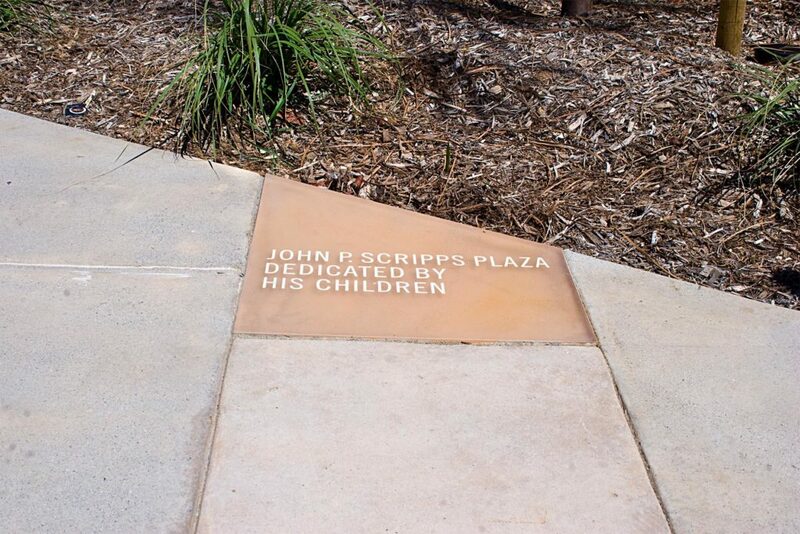 Etched sign forms are embedded into walkways and cast in concrete benches throughout the property mirroring the building’s serene presence above Scripps Pier at UCSD.